They Can't Get Enough of Us! We're so proud of all the attention that The Art of Boxing - The Sport of Ballet is getting. Ordway Center for the Performing Arts generously supports MinnPost's Arts & Culture coverage. And we appreciate that! We love our members at Element Gym! We're so fortunate to have such dedicated people in our community. Take a look at some of the amazing people that show continuous hard work and dedication! For future Member of the Month postings visit our Facebook page. You've most likely seen Katie around the gym working hard in those boxing classes! Here is more about Katie and her experience here at Element! How long have you been coming to Element? What initially drew you to joining the Element community? 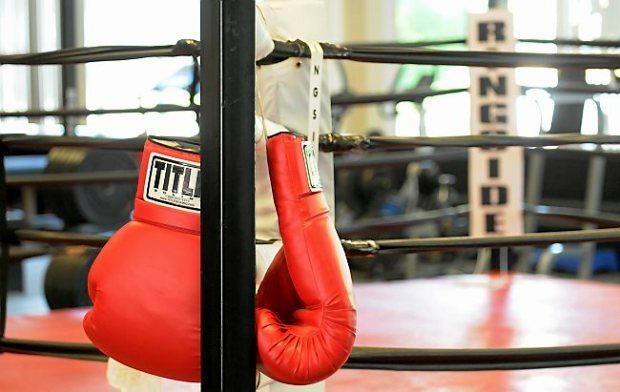 I was volunteering at a fitness facility in Monticello as a volunteer coach for Rock Steady Boxing, which is a class for Parkinson's patients, but didn't know enough about boxing. Element is close to where I live, so I ended up here in the boxing classes at noon. Haven't quit yet! Love it! What is your favorite workout to participate in at Element? Boxing class but just added the circuit classes. Great to have someone push you. What is one of your go-to workout songs? What is the biggest change you’ve noticed in your life since coming to Element? I am stronger, happier, and my coordination has improved. I also play tennis and boxing has definitely helped my game. Tell us why you love Element. The facility is clean, open, with everything you need to workout. The coaches will adapt any exercise for you if you are struggling. The social component is also great! As a new resident to the Twin Cities, it is fun to get to know the coaches and members. Also, love the community aspect. What advice would you share with someone starting out at Element? If you have a preconceived notion that boxing is not for you, give it up! I am 66-years-old and feel great and everyone here accepts everyone else no matter age, gender, race or religion! 👏Go get 'em, Little J! When he jumps into class, he's always ready to work! 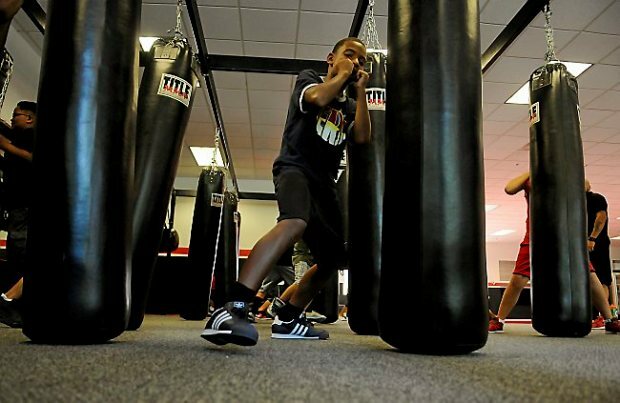 See what inspires and motivates Jelani to do his best in boxing class at Element Gym below. HEY JELANI! TELL US A LITTLE BIT ABOUT YOURSELF AND YOUR EXPERIENCE AT ELEMENT GYM. My Uncle Douglas Demmings (who was in the Minnesota Hall of Fame!) was a boxer and I like boxing. Meeting new friends and learning new things like wrapping your hands and new exercises. Because I learn to fight. Try to stay consistent in class. Since it opened seven years ago. I met Dalton and Lacee my first day. I am much healthier and have lost weight. Because it is like a large, rowdy, loving family. We all love the fun and dedicated spirit you bring to the gym. Thank you for being a part of our rowdy family! Hi Kylie, tell us about yourself! I was interested in boxing so I joined Element. All Star by Smashmouth or Slide by Calvin Harris. I’ve gotten better at punching, I punch more harder and faster. HI RACHAEL, TELL US ABOUT YOURSELF! I’ve been coming to Element for about a year now. I started coming last October but stopped for a few months and returned this spring with a vengeance! The first time I came to the gym I came with a friend and was surprised how welcoming everybody was! People were friendly and helped me get the hang of things. Everybody is focused on having a good time and getting in a good workout! I love the cardio boxing classes! Oh man! I love anything that has a good beat that keeps you moving and energized. Can I bring in my own playlist for class?! Since coming to Element I feel more energized and ready to take things on in life! I’ve struggled with anxiety and going to the boxing classes has definitely helped me keep that in check more. I feel more centered after classes and all my stress from the day just melts away. Punching bags really gets your stress and frustrations out! The environment is so supportive and non-judgmental. Everybody is at different stages and nobody is there to judge you or make you feel like you can’t do it and instead try to encourage you to keep going. The coaches understand that everybody’s at different fitness levels and they meet you where you’re at while still pushing you to improve. Come out and enjoy yourself! It looks scary at first but it really isn’t, and you’ll be so proud of yourself afterwards (at least I always am!). Just take that first step and I promise you won’t regret it. If you have any questions, just ask! Oh, and make sure to bring a water bottle! Thank you, Rachael, for sharing your experience. We're so happy to have members like you as a part of our community. Your smiling face is a part of what makes Element a unique and welcoming place to sweat! We'll see you around the gym. WCCOTV interviews collaborators Zoé Henrot of the St. Paul Ballet and Dalton Outlaw of Element Gym as they prepare for their April 15 Ordway Performance. The SBA cites Element Gym programs that allow area youth — many of whom would otherwise never have such an opportunity — to get in shape and keep a positive focus in life. The city noted a commitment to keep programs affordable, if not free, for at-risk youth in St. Paul who might otherwise be on the streets. If you ask people what kind of qualifications they would expect from a business owner, “professional boxer” probably wouldn’t be on the list. Yet this is exactly what qualifies Dalton Outlaw to run Element Gym the world’s first co-working and collaborative-benefit corporation gym. Outlaw came to entrepreneurship just after the 2008 economic recession, when the boxing gyms he had grown up with closed because of poor management or lack of resources. He had a job in sales, but he says, “the corporate world wasn’t for me.” Instead, armed with a business degree, a passion for boxing and a desire to give back to the community, Outlaw founded Element Gym in 2011 (formerly Element Boxing and Fitness), putting his professional boxing career on hold. Dalton trains 20 kids, ranging in age from 6 to 17.And one of his rules is that the boxing stays in the gym. “The biggest thing we can teach them is how to be disciplined, how to channel that anger, or whatever it is they have, and put it back into something positive,” Dalton said. The local Asian Indian community invites Minnesota to celebrate Nonviolence Day on October 2, 2016 at the State Capitol with a short program at 10 a.m. The goal of the event is to celebrate the importance of nonviolence in building Minnesota and the nation. Following a short march in the tradition of Gandhi, there will be an interfaith prayer followed by a short program. All are welcome to join the celebration. Linda McMahon, who leads the U.S. Small Business Administration on President Donald Trump’s cabinet, was in the Twin Cities on Tuesday to meet with local small business owners. McMahon’s itinerary also included delivering a speech at the National Women’s Business Conference, which is being held this week in Minneapolis. The conference is presented by the Washington D.C.-based National Association of Women Business Owners (NAWBO). For most people, the sport of boxing summons up images of brutality, punching and broken noses. Ballet, on the other hand, conjures up tutus, picturesque poses and classical music. SAINT PAUL, Minn. – “Float like a butterfly, sting like a bee.” The poetry lies in the contrast in that gem of a quote from Muhammad Ali. Not long ago, I was sitting in Sweeney’s Saloon with my literary crew, debating which author had written the best boxing book. About the time our bartender brought our second round, I was about to cast my vote for Norman Mailer’s The Fight until the Poet Mike Finley reminded me of Budd Schulberg’s Sparring with Hemmingway.